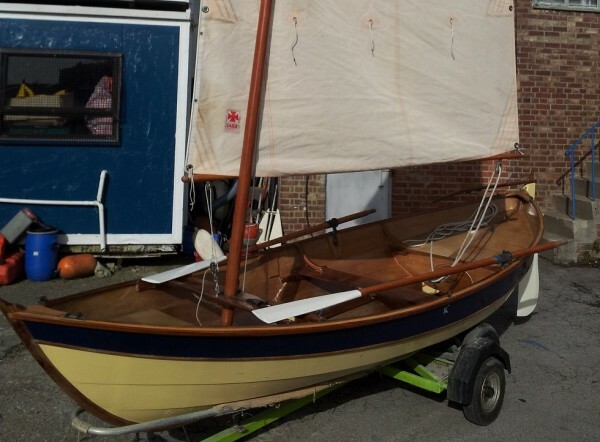 The ‘Whilley Tern’ is another interesting and pretty design from Ian Oughtred. 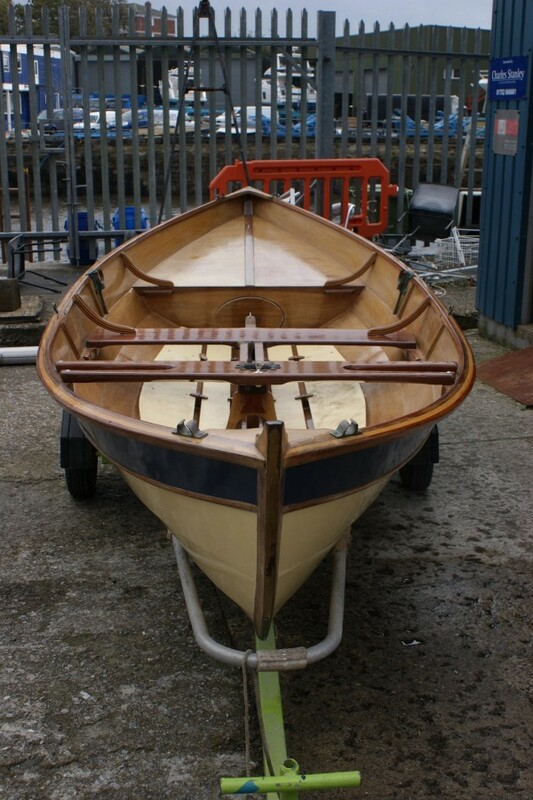 Built using marine plywood bonded with epoxy with Iroko backbone, stem and stern post. Varnished iroko rubbing strake all round. 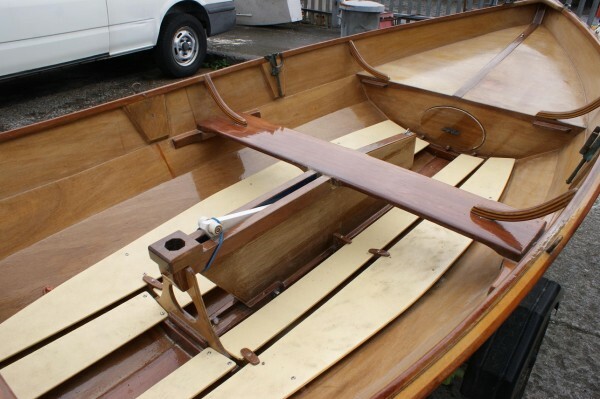 Plywood centreboard casing with centre thwart in mahogany. 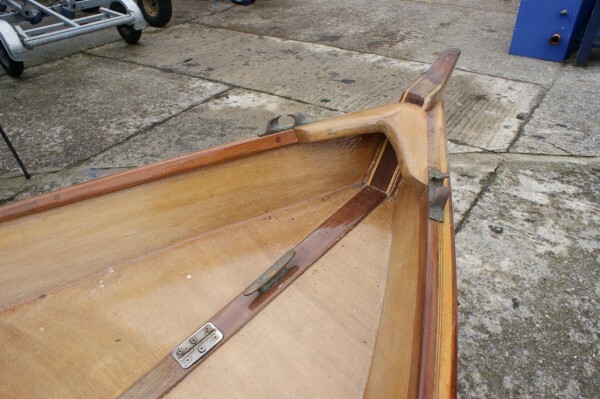 Fore and aft floatation chambers with watertight hatches for access, also double as thwarts. Laminated knees, painted floorboards. 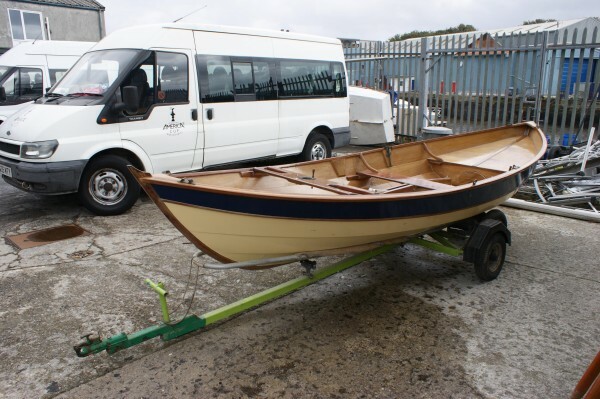 Standing lug rig on a varnished spruce mast and spars. Pair of light oars with rowlocks. 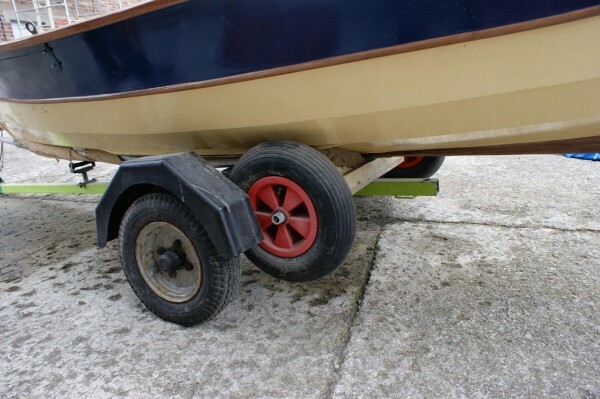 Boat is on a road trailer with piggy back launching trolley, ready to tow away. 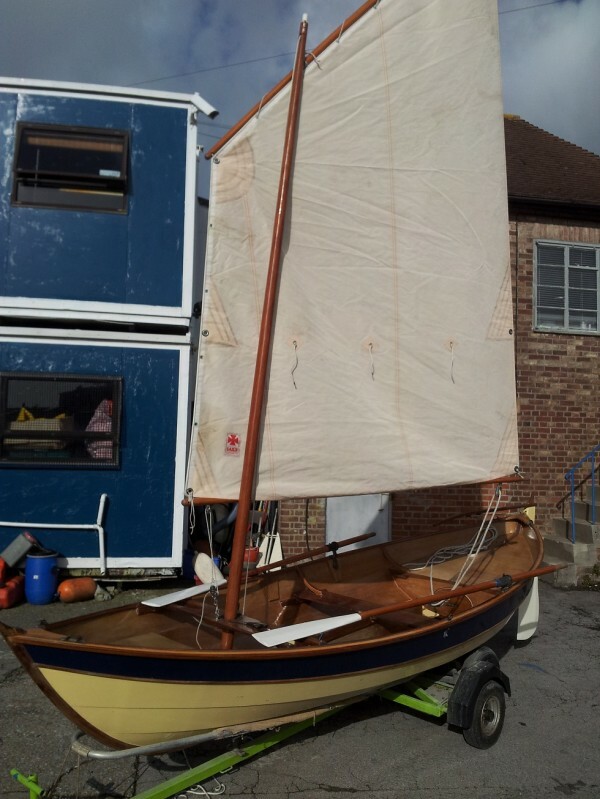 This boat is owned by a sailing charity who have found her unsuitable for teaching youngsters to sail, so they wish to move her on and put the money towards a more suitable dinghy.